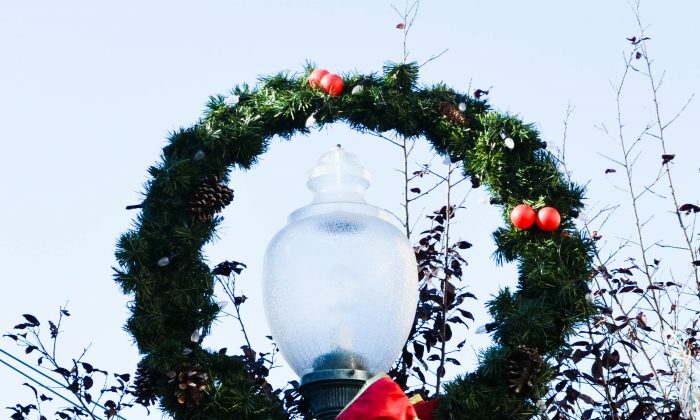 MIDDLETOWN—Festival Square will come alive on Nov. 27, the Friday after Thanksgiving, with a parade down North Street, holiday street lights ablaze, and a tree lighting ceremony at Festival Square, topped by a visit from Santa. Festivities, that in past years have drawn crowds of more than 1000, begin at 6 PM with a parade featuring several community and high school groups. Middletown’s high school band, the Middies’ cheerleaders, and the football team will march with the legendary Erie Bell. The Maybrook Boy Scout band will also march. “It’s a way to show off our diversity in the community,” said Mayor Joseph DeStefano. The fun is for the young, and young at heart, with several youth groups—the Mayor’s Youth group, youth wrestling, Girl Scout Brownies, and youth football. Candy canes will go to kids along the parade route, students from Touro College will give out hot chocolate, and a Middletown fire engine will transport Santa to the square. Degnan says the holiday tree in Festival Square will be lit with 2300 LED tree lights and a new star to top the tree. The donors of the holiday tree will assist Santa in lighting the tree. Some retail outlets will open their doors to parade goers and offer coffee or hot chocolate along the route. There is plenty of parking throughout the downtown. Some long-time supporters of city events have worked behind the scenes to make the holiday successful. The tree in Festival Square, donated by Debra and Andrew Levi, was transported in a flatbed by Regional Truck Service, and escorted by police vehicles from Wallkill and Middletown. John Tresch of JHM Tree donated services to cut the tree and see it placed in its spot on the square. The festivities don’t stop there. A short walk to the Paramount Theatre will bring people to a free showing of “It’s a Wonderful Life,” right after the ceremony in Festival Square. Cities all over American are well aware that their downtown is the heart of their city. Middletown’s downtown is the reflection of how the community sees itself, John Degnan said, and this holiday season the downtown reflects the value of family and our young. Silver Bell Saturday on Nov. 28 is a perfect opportunity for discovering the vibrant assortment of unique retail stores that line the Middletown’s walkable city streets, now festooned with evergreens and lights. “You may not spend the entire day retail shopping, but there are other things you can do,” DeStefano said. Families can watch “How the Grinch Stole Christmas” at 3:30 p.m. at the Paramount, go bowling, or have lunch. The downtown has many shopping and service areas, with unique shopping, dining, and entertainment outlets. The downtown is the historic core of the city with many buildings of historical significance that people can see when they come to the parade and tree lighting. There has been significant, with more to come, public and private investment in the infrastructure and real estate. The mayor said more retail outlets are needed. A growing residential community downtown signifies added convenience and safety for shoppers.